This is the best tomato sauce you can make out of seasonal, fresh tomatoes. 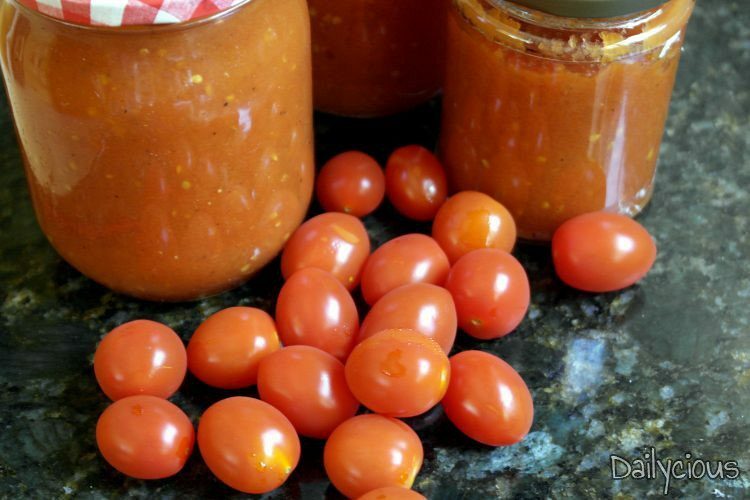 Get as many ripe, red and flavoursome tomatoes you can during summertime (preferably at the farmers’ markets) and prepare this tasty and rich tomato sauce. Stock it up and preserve it for winter. 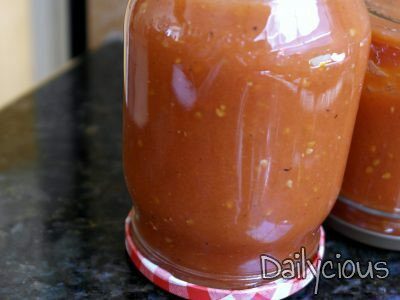 You can then use it on pizza, with your favourite pasta or in a stewed tomato casserole. Choose between the simple version of tomato sauce prepared only with the basic ingredients or the one with the more enhanced flavour with added herbs and aromatics. Drop the fresh tomatoes into a pan of boiling water and leave for about a minute, until the skins split. 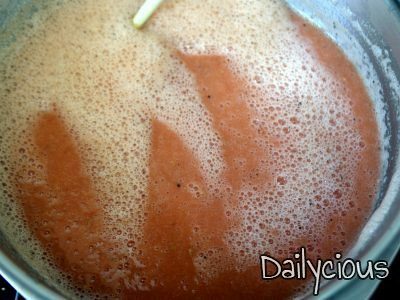 Lift out and peel, then blend until you have a purée. Put the tomato purée into a pot adding the sugar, salt and pepper, chopped onion, garlic and chilli (if using). Bring to boil at medium-high heat and then simmer for 45’ turning down the heat, stirring occasionally, until thick. When the tomato sauce is almost ready add the red wine vinegar and the basil (if using). Reduce it to your taste to concentrate the flavour. Test the seasoning before pouring into sterilised containers. Refrigerate or freeze until ready to use. When it’s time to use the tomato sauce poor it into a sauce pan, heat it and add a drizzle (or two) of olive oil. 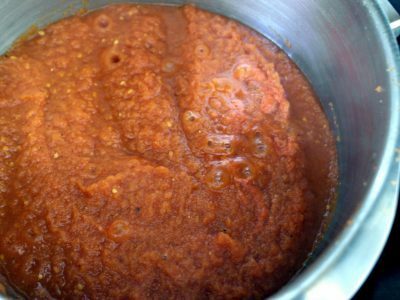 An outstandingly tasty home-made tomato sauce is ready to toss with meatballs and spaghetti, to coat cannelloni and to top pizzas. Enjoy!